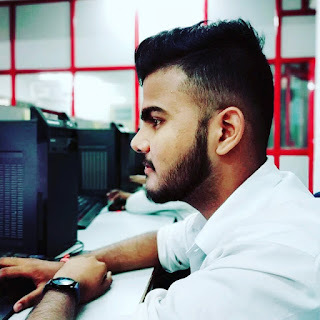 Nowadays there is nothing safe on the Internet, if you search anything on internet or if you open a website or any activity that you do in your computer laptop or mobile, then whatever activity you have in your device If you use the internet, then your activity can store any hacker or third party website. So there is a way in which you can keep your identity hidden on the internet. That's Tor Browser. That's Tor Browser. Which can hide your identity from the internet. So in today's article we will know what is the Tor Browser, how you can install Tor Browser in your computer laptop or mobile device and browse safely internet. In any case, you will find a lot of ways in the internet to browse or search Safely in the Internet, one of which is VPN, VPN is the best way to change the IP address of your computer laptop or mobile device easily. First of all, know about vpn. How do VPNs use? VPN is a software that removes our original IP address and in front of it there is a second IP address appearing to the front, which has been given to us by our VPN provider. This IP address is for any other location, so we cannot track it. VPN helps us browse the web anonymosly. VPN becomes point-to-point connection, in which no one can see our data in between. Tor is a free popular web browser, whose full name is The Onion Router, Tor changes the IP address of your device, such as a computer laptop or mobile device, so that hide your original IP For example, whenever you open any website in the internet, your IP address is visited by the website owner and your device information, So in this way you can hide your device information and the original IP address with the help of Tor browser and you can do anonymously search on internet. Tor is primarily based on the principles of Onion routing, and it was developed in the United States Naval Research Laboratory by Paul Syverson, Michael G. Ree and Nick Mathewson in the year 1990. The Alpha version of Tor Browser was named 'The Onion Routing Project' or Tor Project which was developed by Roger Dingledine and Nick Mathewson, and was launched in September 20, 2002. The subsequent research and development is being done by the Electronic Frontier Frontier Foundation (EFF), the complete answer to this project is Tor Project Inc. , Which is a non-profit organization. This project is funded by the US and the Swedish Government. Whenever you open a website, your request goes to the server of TOR browser, now all the computer servers connect with a browsers so when you open the website in Tor browser In this case, your request goes to any server of Tor browser and the website that you have requested with the server's IP address is open. In which one of your virtual IP addresses keeps changing, so your IP address is absolutely secure and nobody knows what you are searching on the internet. Tor work on Principle of Onion Routing. In which the first user data is encrypted and then transferred it with the help of different relays which are indigenous to the Tor Network, from which a multi-layered encryption is created (such as in Onion) It keeps the identity of users safe. An encryption layer is decrypted in all Tor relay, and the remaining data is forwarded to the random relay, and this work is done until they reach the destination server. The last node that appears in the Destination Server appears like the origin of data. it is very difficult to trace the identity of the user. In addition to providing anonymity to users, Tor Websites can also provide anonymity, at the Tor Hidden Service. Benefits of Using Tor Browser? Tor Browser allows you to hide your IP address change. You can use block website from Tor browser. You can encrypt your data from Tor browser. You can use a secure communication from Tor Browser. With the help of tor browser, you can avoid hacking your details. 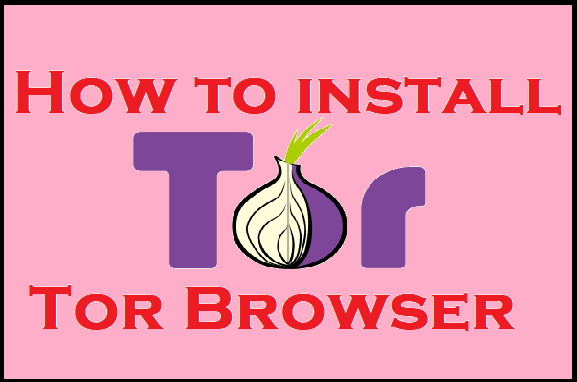 How to install Tor Browser? #STEP1; First of all, to install the Tor browser on your computer or laptop, go to the official website of Tor Browser and download and download Tor Browser. Or you can download the software by clicking here below. #STEP2; As soon as you download the browser for your computer or laptop, after that you have to install from it, open the software and then click on ok and then click install. #STEP3; As soon as you install the software, you will see a tor browser and a tor browser in the screen of your computer or laptop, in which you will have to see the start tor browser, then you have to click on it and open it. #STEP4; Now when you open Tor browser, you will get two options, then you have to click Connect, and just your Tor browser is installed. Now you can search Safely with the help of tor browser. NOTE: Do not delete the Tor browser folder in your computer or laptop, otherwise Tor Browser will be deleted. So you have to handle these folders, if you want to uninstall the tor browser later, delete this folder and the browser will automatically delete it. You can also configure the Tor Browser to do more secure search in Tor browser.